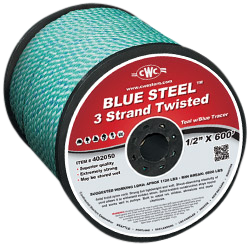 Our CWC registered trademark BLUE STEEL ropes are made from one of the strongest co-polymer fibers in the market today. 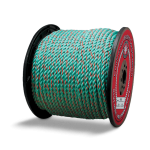 BLUE STEEL truck rope features balanced three-stage construction with low elongation, more strength than polypropylene and twice the wear life. It also offers superior resistance to abrasions, UV rays and most common chemicals while conforming to California Highway Patrol requirements.